Megaproducer Ryan Murphy is calling on some familiar faces from his television empire for his upcoming Broadway production of The Boys in the Band. 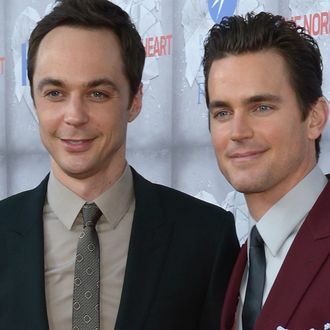 Playbill reports the all-star cast includes Broadway veterans Jim Parsons, Zachary Quinto, and Andrew Rannells, as well as Matt Bomer, who is making his debut on the Great White Way. The limited-run production marks the 50th anniversary of Mart Crowley’s ground-breaking comedic drama about a group of gay men at a small party. The play, which opened in a small venue Off-Broadway in 1968, made history with its depiction of the relationships and struggles of gay men in that era and became a sensation. This upcoming production, directed by Tony winner Joe Mantello, is the first time the show will appear on Broadway. It opens at the Booth Theatre on April 30 and runs through August 12.